No, I'm not so out of it that I'd forget whether or not I had a cat, but I was realizing I'd been in the apartment almost a year and I hadn't FED the cat that whole time. 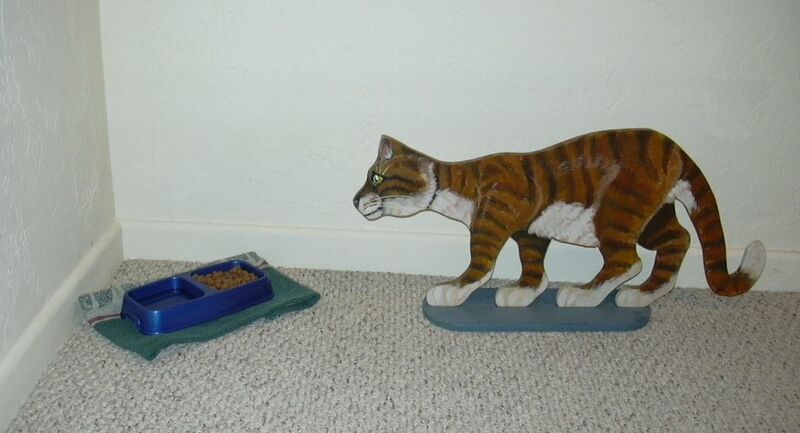 So I put out some kibble for Weatherby a.k.a. Scuba a.k.a. His Royal Majesty King Muzurski, High Emperor of the Seven Dimensions (he's had many names). Weatherby was a gift from Gilead, a fantastic artist and long-time friend (here's a link to some of his work, but his best stuff isn't on the web (Yes, that is sad)).